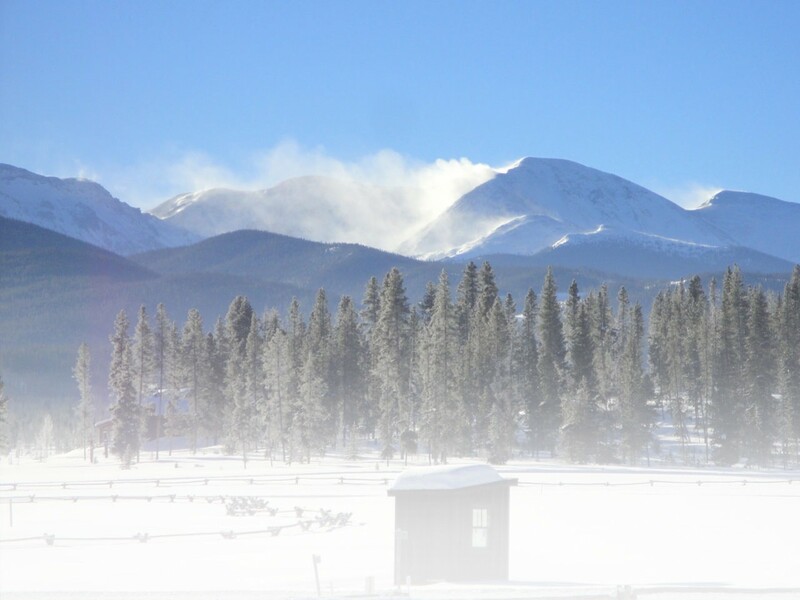 Last week a Colorado Springs man was killed in an avalanche while snowshoeing on Kelso Mountain near Torrey’s Peak, a popular 14er in Clear Creek County, Colo. This marked the first avalanche related death in Colorado—and the third in the country—for the 2014-15 winter season. This avalanche, as with most slides, was triggered by its victim. According to the Colorado Avalanche Information Center (CAIC), hikers have accounted for 53 avalanche fatalities in the U.S. since 1950, as compared to 240 skiing deaths and 236 snowmobilers. Last season alone avalanche slides claimed 35 lives in the U.S. Of those 35, 11 were classified as snowshoers/hikers and climbers, 11 were snowmobilers, 10 were skiers and one was a snowboarder. Because the CAIC classifies snowshoeing as a “travel mode” and not a “primary activity” it is difficult to tell exactly how many of these slides were caused by those whose sole intention was recreational snowshoeing. Although many people typically associate avalanche danger with rowdy, pow-seeking skiers, snowboarders and snowmobilers, according to these statistics it is clearly not uncommon for an avalanche to be triggered by slower moving travelers on foot. According to basic avalanche awareness principles outlined by the American Institute for Avalanche Research and Education (AIARE), this group of three snowshoe trekkers on Kelso Mountain did almost everything right. They travelled in a group. They checked the weather conditions before heading out. They familiarized themselves with the route, identified potential slide areas, and planned accordingly. They wore avalanche beacons and carried probes. They crossed the fated avalanche site one at a time ensure snow stability. They recovered the victim and began performing CPR within 15-20 minutes, the average window of time estimated before asphyxiation—the main cause of death in avalanche disasters—ensues. First, just because a route has been safely traveled before does not ensure its safety time and time again. In this case, the first snowshoer crossed the slide path with no problems just minutes before the second snowshoer attempted to cross, ultimately triggering the slide. The lesson here is to assess everything and assume nothing. Don’t be afraid to speak up to the rest of the group if you suspect danger. It’s better to be a party-pooper once in a while than to never attend another party ever again. Secondly, don’t assume safety just because you’re carrying the proper gear. A death resulted in this situation despite swift and accurate rescue procedures administered by the other members in the group. For snowshoers, the point I want to drive home here is that if you’re traveling alone and are caught in a slide, chances of survival are extremely slim. Digging yourself out of an avalanche, even if you’re only buried a few inches, is nearly impossible. Even if you have a beacon, or transceiver, there isn’t enough time for emergency personnel to respond. Your best chance of survival is other people in the vicinity. A snow pack demonstrating slab-style avalanche cracks. It’s important to note that the best way to avoid an avalanche is to prevent one from happening in the first place, and the only way to fully prevent an avalanche is to not go out at all. Even areas with low avalanche ratings can slide depending on the real-time temperature, snowpack and activity level. That being said, you don’t have to put the kibosh on all forms of fun, excitement and adventure this winter. By being aware and prepared, as opposed to fearful and paranoid, you can safely explore the backcountry. A few weeks before this incident I attended a local “Avalanche Awareness” course to better understand these natural disasters. Although I do not regularly find myself ski touring, hut trekking, rope-ducking or snow-cave camping, I feel it is my responsibility to obtain skills that would help me rescue myself or others in the case of an emergency situation. I also understand that accidents don’t just happen out of bounds or during extreme expeditions. They can happen on the most seemingly basic outings, including bunny hills, sunny days and, in this case, well-tracked trailheads. The instructor ended the class by reminding us that the number one goal of a day of adventure isn’t to reach the highest peak or make the best turns, but to live to see another day. If there is any doubt in your mind that a trail or area is unstable, wait for another time to explore it. No lofty ascent or pow-stash is worth risking your life—or others’ lives—for. Do yourself and your friends and travel buddies a favor and get educated about avalanche prevention and wilderness safety and first aid. You never know when it will come in handy. If your’re an avid snowplayer, chances are you will find yourself in a situation at some point in your life when you will be glad you had these skills. It never hurts to be over prepared. For more information about avalanche education, rescue guidelines, gear lists and classes in your area, visit www.avtraining.org. NOTE: Since the writing of this article there have been three more American deaths due to avalanches. On Jan. 6 a Colorado woman died in a hospital after being rescued from a slide while skiing near Silverton, Colo. On Jan. 7, two male U.S. ski team hopefuls were buried in a slide while skiing near a training center in the Austrian Alps. This entry was posted in Features, General, Homepage Featured by Katie Hearsum. Bookmark the permalink. I appreciate the reminder. I love back country skiing, but to be honest, concern over being buried kept me from skiing places I wanted to (chutes, bowls, open glades.). I also love sledding (snowmobiling for the uninitiated), but I’ve watched some friends get in hairy situations while hill climbing, and kept to the meadows where drifts gave me plenty of thrills, well out of the reach of the white death. On snowshoes with my family I usually don’t think much of avalanches, as we travel terrain that is generally pretty flat and away from run-out zones. That said, this article was a nice reminder of the dangers out there, and that maybe a refresher course or two might be in order.